"UM presents the Master of Fine Arts exhibition by Ryan Farrell. 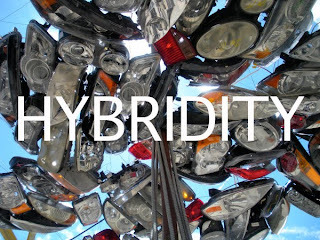 By definition, “hybridity” refers in its most basic sense to mixture. He is a graduate student at the University of Miami seeking his MFA degree in sculpture. As an artist Ryan found his inspiration in the complex relationship that exists between people’s need for energy and the sustainability of their environment. Ryan attempts to communicate his point of view on this whole mess through the manipulation & exploitation of the prime culprit, the automobile. Using car parts as a medium and sampling from his infatuation with science fiction & imagery from popular culture, Ryan has constructed interactive installations and static objects that illustrate his prophetic view of an apocalyptic future. He displays an ironic twist by admitting guilt in his participation in this perilous struggle that is the petroleum cycle, but offers compensation by inviting the audiences’ involvement in a hybrid driven experience of enlightenment." "I am a graduate student at UM studying sculpture. I am having my final exhibition this Saturday May 14th and I am trying to spread the word especially to communities beyond the art scene that might find the work of interest. I regularly check the Miami Bike Scene website and am a fan. I ride my bike as my main mode of transportation to school and around town. 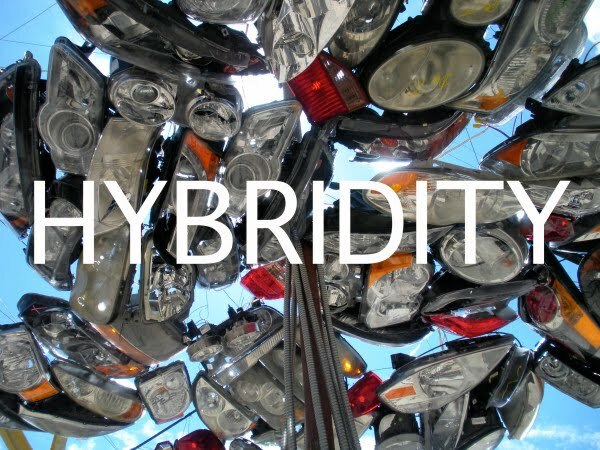 The main piece in my exhibition is an interactive kinetic sculpture where the viewers are invited to ride bicycles that are arranged underneath a canopy made of found head lights and tail lights from cars. When the bikes are pedaled they illuminate the car lights. My work deals with our conflicted relationships with the petroleum cycle, automobiles, plastics and the sustainability of our environment."